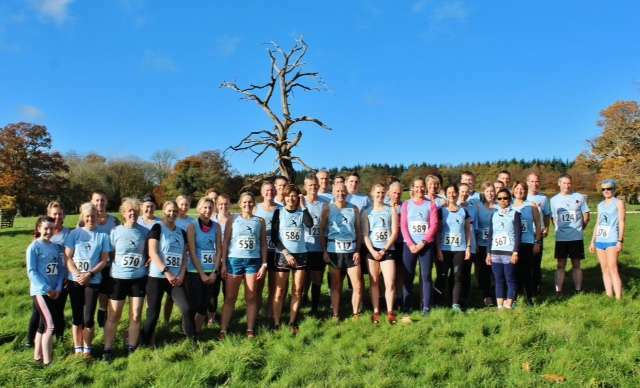 A well-observed minute’s silence, marking the 100th anniversary of Armistice Day, formed a reflective prelude to this year’s Croft Castle winter XC race. Sadly, I heard that the tenant farmer, an excellent stockman responsible for the surrounding pastures had passed away not long ago, and so the grass in the starting field was unusually long this year. 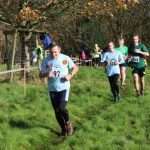 This was an extra strength-sapping challenge at the start of lap one, particularly for the leading runners. Two further challenges added difficulty to the race. A herd of friendly but inquisitive cattle now patrol the top of Croft Ambrey hill fort, following the National Trust’s policy of restoring and maintaining open land through natural grazing. This meant that the footpath up onto the Ambrey was more muddy than usual. 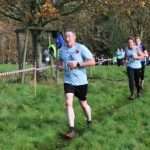 Furthermore, a small change of route was necessary to avoid the stile over which runners normally clamber, adding perhaps 30-40 metres to each lap. 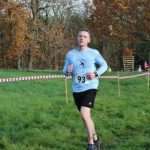 You’ll no doubt already have concluded that this string of excuses is my way of explaining why I ran so much more slowly this year but perhaps some of you may also take consolation in these ‘facts’, or are they just ‘fake news’? 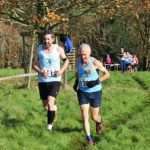 On the plus side, we enjoyed a fine, cool autumn day, ideal for cross country running, that also enabled some excellent race photography. 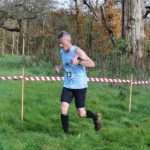 Tim Iveson of Builth & District RC won again this year and only the intervention of Tim Davies of Maldwyn Harriers prevented a Builth 1-2-3. 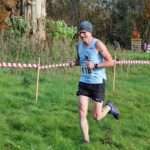 Our own Mark Lamonby, currently scaling new heights as an age group international triathlete, finished a commendable 5th, while protecting a slightly dodgy ankle. Mark Thomas (8th), new member Jack Wilson (15th, another accomplished triathlete) and Glyn Williams (26th) made up the Croft first team that secured an excellent 3rd place in this opening round of the winter series. 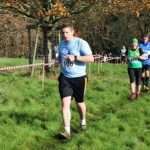 The quietly-accomplished Matt Moffatt (28th) led home Croft B, followed by Will Gore (31st) who has now entered the senior ranks. 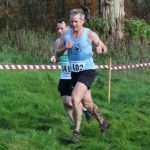 Judging by the Strava stats, I imaging Will enjoyed some intense sibling rivalry with older sister Robyn until she turned off in lap 2 to lead home the Croft women. 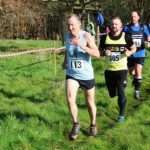 Neil Powell (40th) and Jasper Robinson (52nd) completed the B team. 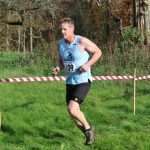 Another relative newcomer Greg Jones finished a very good 54th and I expect Greg will rise further up the rankings as the season progresses. 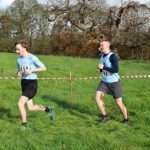 Despite my pitiful whingeing earlier in this report, I was quite pleased to finish 58th and thoroughly enjoyed my first race in months, after a summer of mostly cycling. 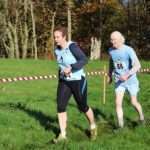 Ian Price (60th and 1st MV70) and Ashley Robinson (68th) were the other C team members. Ashley is not long back from a stunning age group bronze in the European duathlon championships. Musician Scott Hardie (72nd) is beginning to find his rhythm. Evergreen Guy Whitmarsh (84th) Gary Gunner (86th) and Bryn Roberts (95th) made up our D team. 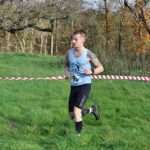 It is good to see Rob Wood back for the winter series (101st). 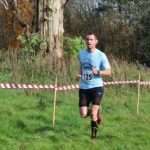 Mark Williams (102nd), Brian Davies (110th) and Nic Paviour (113th) completed the set. 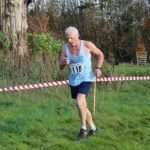 Brian has now entered the illustrious MV75 age group. Spare a thought for Tom Davies whose MV70 debut has been delayed by injury, leaving him this time gnashing his teeth on the sidelines. Well done Croft men! 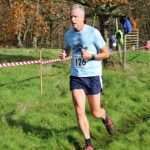 The next race at Rotherwas is for the speed merchants, so I know where I will be on Tuesday evenings until then: sweating it out in Mike’s speed-rep sessions at Luctonians. 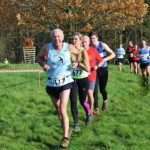 Many thanks to Mike Blenkinsop, Theresa Jones and all the marshalls and helpers for putting on a great race. As a former member of Croft and habitual absentee I enjoyed the report with its vivid descriptions.